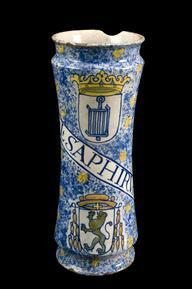 Polychrome tin glazed earthenware albarello, used for Salomonis opiate, French, first half of 17th century. Front View. 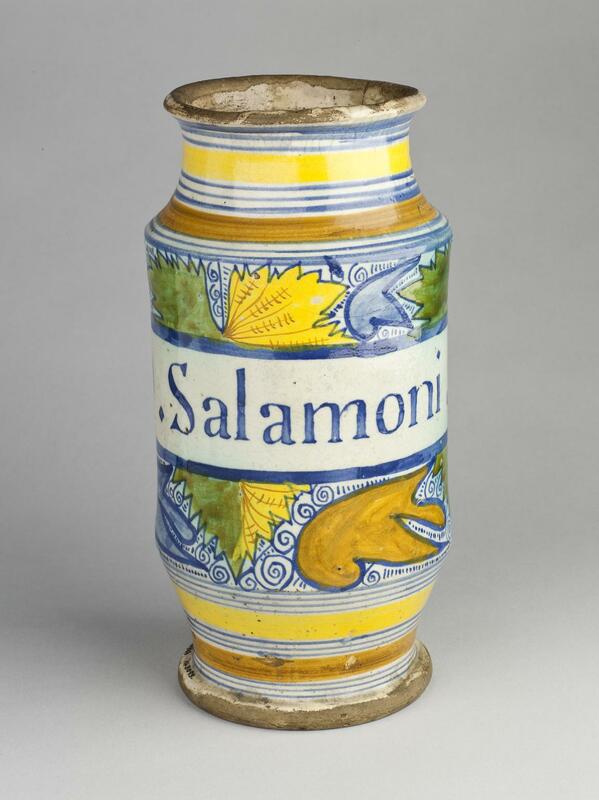 Polychrome tin glazed earthenware albarello used for Salomonis opiate (OPIATA SALOMONIS). 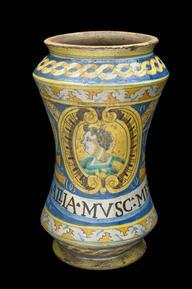 234 mm x 110 mm diameter, 1023g. The jar is decorated in blue, yellow, brown and green glazes with leaf motifs and human faces. 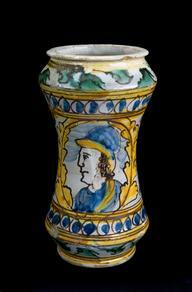 Unknown maker, French, first half of 17th century.